Quality corporate gifts and hampers from Geelong, the Bellarine and Surf Coast. 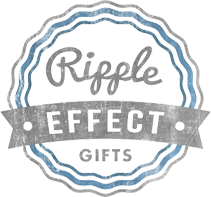 Ripple Effect Gifts, conveniently based in Golden Plains Shire in order to supply both Geelong and Ballarat customers, offer volume gifting for business and industry professionals. We proudly supply numerous businesses on the Bellarine Peninsula and throughout Geelong and surrounding areas with their corporate gift hampers, both as ongoing contracts and as one off gifting for their clients. 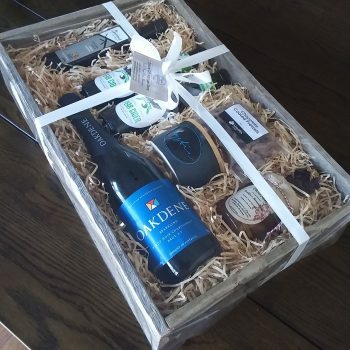 It has become a highlight of our business and we are committed to working with our clients to custom design the perfect hamper, filled with a fine selection of locally made products. The presentation of your hamper can blend with your own company branding, we love to work with you to create something unique that will leave a lasting impression as you hand your boutique hamper over to your clients. It’s a lovely way to show your appreciation. We showcase quality, home made, home crafted, organic, eco friendly and gluten free products made by small businesses in the area to remain true to our values and reinforce the importance of buying local. By supporting Ripple Effect Gifts you are supporting many other small businesses, many of which are home based extending through Ocean Grove, Barwon Heads, St. Leonards, Curlewis and Geelong. Our range of local food, beverage and gift items is extensive however if there is a particular product or label that we don’t stock and you would like included in your hamper, we will source it for you. This a fully customised service for our ongoing corporate clients. Please contact us if you’d like to take a closer look at our product range, presentation ideas and to discuss your volume gifting options. We’d love to meet with you!